Vijayawada is a city of South Indian states of Andhra Pradesh. 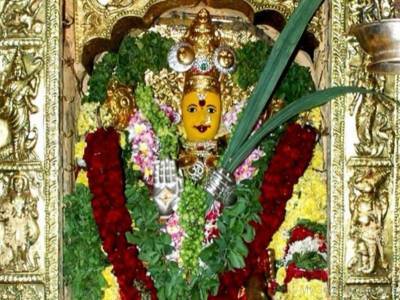 The most significant temple in the city of Vijayawada in Andhra Pradesh is the temple of Goddess Kanaka Durga. 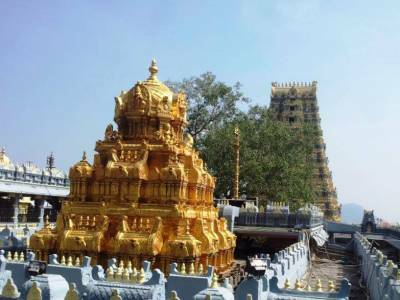 The name of the temple is often announced as a synonym for the city of Vijayawada. 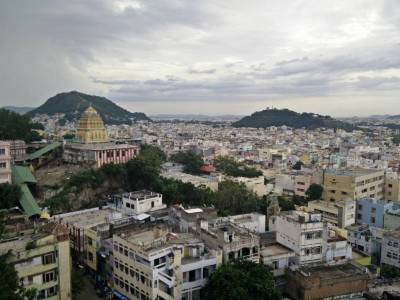 The Kanaka Durga Temple of Vijayawada is located on the Indrakeelaadri hill, surrounded by rocks from three sides and has its name mentioned many times in the Vedic mythical literature. 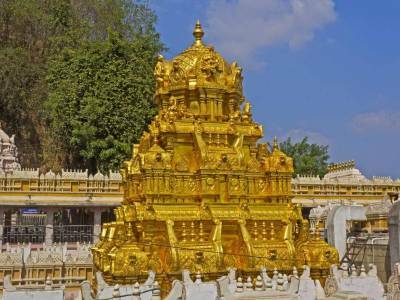 Kanaka Durga Temple is one of the key attractions of Vijayawada of Andhra Pradesh. There are many tales about the formation of the temple. Some say that Vijayawada was a barren land and being saddened by the suffering of the people, Lord Shiva bored through the hill to pass the river Krishna there, thus making the land fertile. Other say, that a certain sage prayed to Goddess Durga to vanquish the evil demon Mahisashura from the land. After completion of the quest, Goddess is believed to have made Indrakeelaa her residence. Another tale is that this is the very place where warrior Arjuna got his Pashupati weapon from Lord Shiva. As a tribute to the lord he established this temple. The Kanaka Durga temple is built with the most common art style of southern India. The inner sanctum houses the self presenting statue of the Kanaka Durga and the whole temple complex is bounded by sculpted walls of similar style. The Kanaka Durga temple is built on the basement of steps cut on the hill. This temple is located in the heart of the city of Vijayawada and is visited by devotee and travellers from all across India and abroad. The temple is specially decorated with pomp and grandeur during Dussera, Diwali, Theppotsavam and Saraswati Puja. 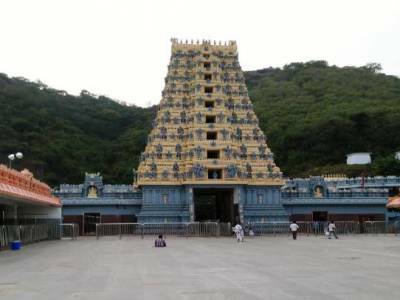 Get quick answers from travelers who visit to Kanaka Durga Temple.